The Peachtree Road Race is one of America's iconic races. 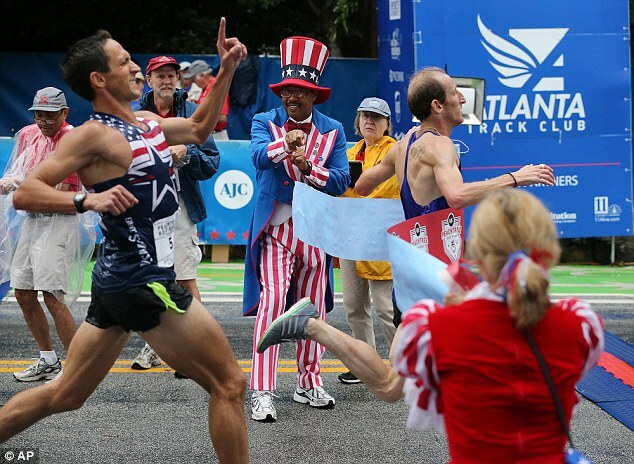 It's an Independence Day tradition, and tens of thousands of people enter the lottery for their chance to run this 10K in Atlanta. And then, this year, this happened. American runner Ben Payne, nearing the finish, raised his left hand in a "number one!" 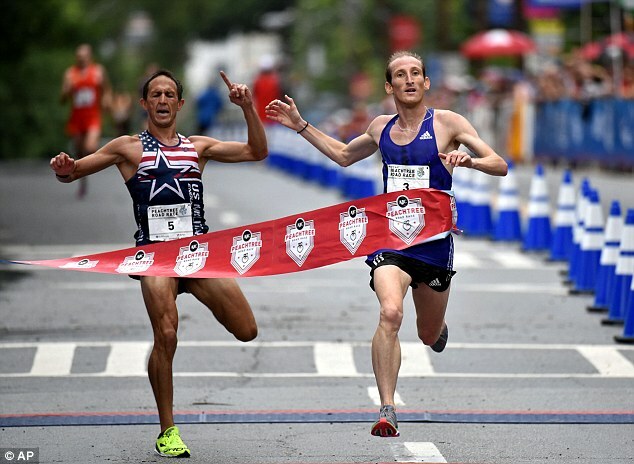 salute… Only to be pipped at the line by a hard charging British runner, Scott Overall. 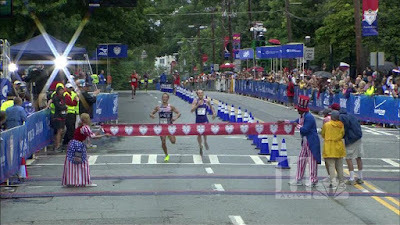 The two runners finished .09 of a second apart, but, clearly, Overall was the winner. I feel bad for Payne… I mean, no one wants to be a cautionary tale / subject for coaches and trainers. But, wow. Ouch. From the side view, maybe he's holding up one finger to say, "Hold on -- I'd like to finish first!" But kudos to Overall, who ran THROUGH the finish line. And to the guy who stood there dressed as Uncle Sam for heaven knows how long.